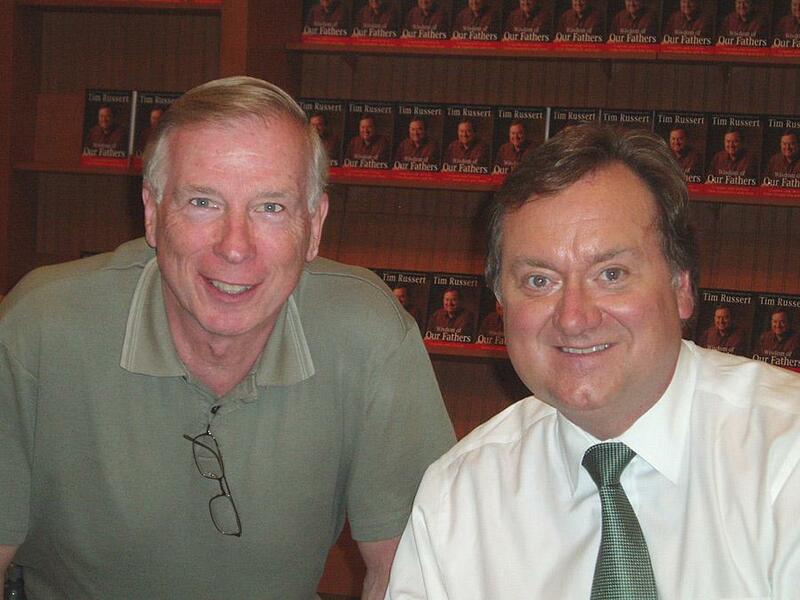 On May 25, 2006 Tim Russert came to Barnes & Nobel in Bethesda for a book signing of his new book, Wisdom of our Fathers. Before the signing began Tim talked for a few minutes about how the book came about. He had earlier written a book, Big Russ and Me, about the relationship between Tim and his father. He received over 60,000 letters and emails from people who had read the book telling little stories and remembrances about their fathers. Many of those stories make up the new book.